That was a childhood of real snow and real work! I’m impressed that you still view the snow with childlike wonder. So many people think of it only as an impediment, a inconvenience to deal with, especially after a winter such as the central and eastern part of this continents has experienced.. If you can’t make it go away you might as well ski on it! It’s still a novelty to me so making the most of it! I can feel the quiet in your photos. 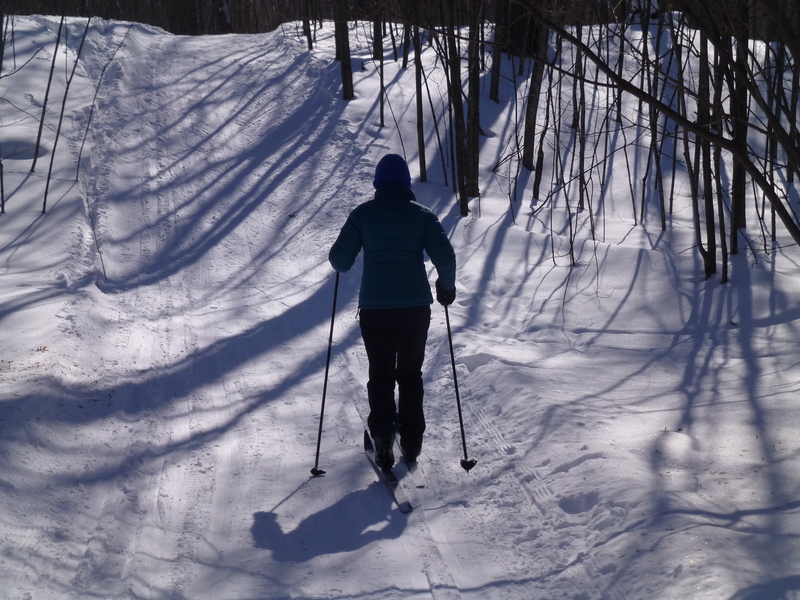 I loved the sound of silence out in the woods with just the swish of skis and the squeak of snow. Thanks. It’s a beautiful place.